The Dino tub chair is designer made with a high back for extra comfort and posture support. 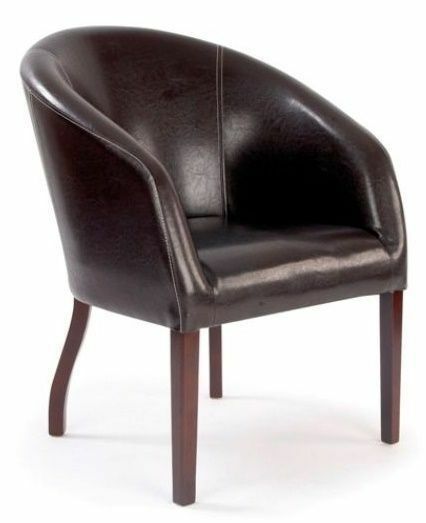 It also includes a rubber wood frame, detailed leather stitching and a high quality Chocolate Brown finish. Economically friendly tub chair, manufactured to a commercial grade. This chair can be used in a number of different applications. Held in stock for a quick two to three working day delivery.